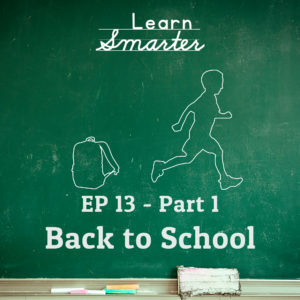 Today, Rachel & Steph walk you through how to prepare for going back to school. It’s the end of July which means you and your student are holding onto those last vestiges of summer with all your might. It also means that you may be feeling the anxiety that the unknown of a new year brings. In this episode, Rachel & Steph talk about how to prevent “academic emergencies” by properly preparing and achievable goal setting. and partnership with your child’s teacher. They talk about calendaring for success. They also do a deep dive into big academic transitions (the leap that occurs from elementary school to middle school, middle school to high school or high school to college).